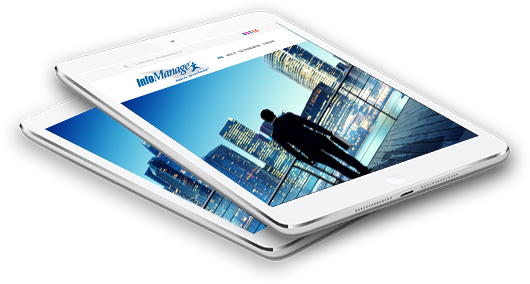 InfoManage, founded in 1995, is an IT Support company. We provide IT Support, Managed IT Services, and Strategic IT Consulting to businesses. At InfoManage, we believe that technology is mission-critical to the success of your business, but doesn’t have to be time consuming, frustrating, and costly. InfoManage provides IT Support so you can focus on what matters most — growing your business. Whether you need help troubleshooting the technology in your office, or you are a large enterprise client seeking a specific skill set, we can help. Some of the services we offer include outsourced IT support, backup and archiving, network administration, and desktop support and Help Desk services. We invest time in understanding your largest technology challenges so we can identify the perfect-fit solution. Plus, we have access to the latest and most proven technology, which allows us to provide a full range of solutions. Our approach gives you access to the quality of Fortune 100 support, at a fraction of the cost. We charge a fixed price per unit (per PC, workstation or server) on a monthly basis. Get charged for your exact needs — and not a cent more. Whether it’s taking full responsibility for your technology, supplementing your existing staff or providing that critical off-hour 24/7 support, InfoManage can help fill those gaps. Put an end to IT headaches forever! Call InfoManage today at (212) 931-0705!